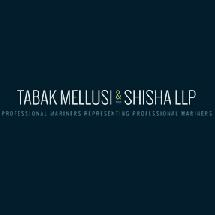 Tabak Mellusi & Shisha, have decades of experience and a record of success in all types of maritime injury claims. From their offices in New York City, they have represented victims of maritime accidents throughout the United States and around the world. the firm has represented clients in high profile cases such as the loss of the Tall Ship Bounty during "Sandy", the loss of the container ship El Faro during "Joaquim" and most recently the collision be between the US Naval Destroyer John S. McCain and the tank vessel MV ALNIC AC.